Facebook-owned Instagram suddenly started crashing repeatedly on June 5, 2018. There is nothing wrong with the app itself and it is currently up to date. Many Instagram users have reported this issue since today morning 4 AM. The Instagram crashing issue started in the UK then spread around the world slowly. But nobody has a right answer why the app is crashing on Android only. 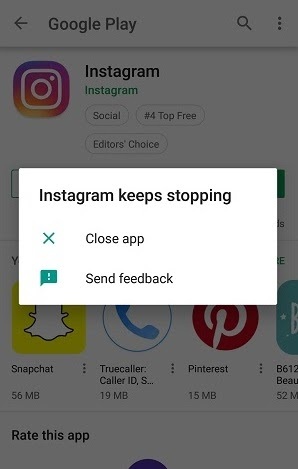 iOS or iPhone users haven't reported such app crashing issue with Instagram. Currently, there is no way to fix this issue. The company has been notified of this issue. They are working on it and say that this happened due to unusual traffic to Instagram servers. So, this is a server-side crashing issue that has slowly started to fix itself. When an Android app keeps crashing then it is advised to clean its data or reinstall it from Google Play Store. But in this case clearing the app cache, data, and even reinstalling the app doesn't fix the crashing issue. So finally, we can only wait until the problem gets fixed by Instagram. However, there is a way to fix this. 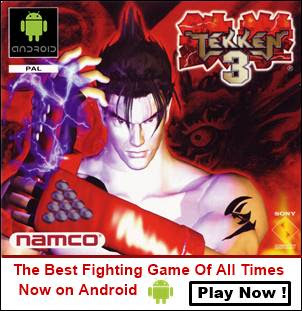 You need to install and uninstall the app three or four times. 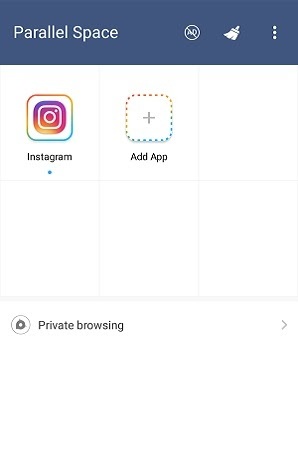 After every install sign-in to your Instagram account. Then uninstall the app then reinstall it and sign in again, do this three or four times. In most cases, the Instagram app crashing issue will be fixed. If it doesn't work for you then try the alternative below. Parallel Space is an Android app that lets you clone any Android app (even system apps). With Parallel Space you can clone your Instagram app and run it. Firstly you should install Instagram and then clone it in Parallel Space. Open it and select 'Instagram' then tap 'Add to Parallel Space'. 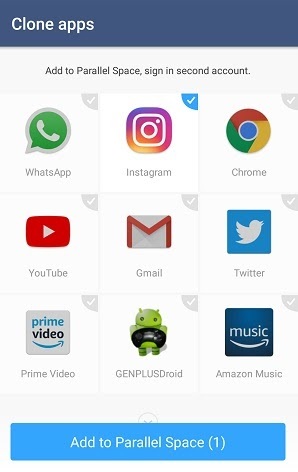 When the app gets cloned open it and sign-in to your account. That's it. The Instagram app will no longer crash on your Android phone. Currently, the issue is slowly resolving and will be completely resolved within 24 hours. If your app is crashing on your phone then you can use Parallel Space to clone it and use it without crashing or stopping.